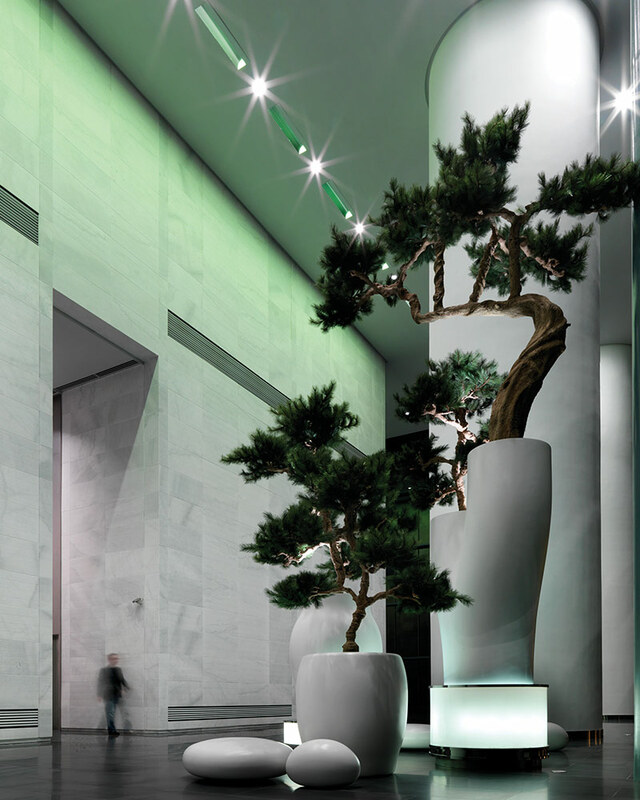 Steven Leach Group was commissioned to refresh the lobby of a 15-year-old office tower. 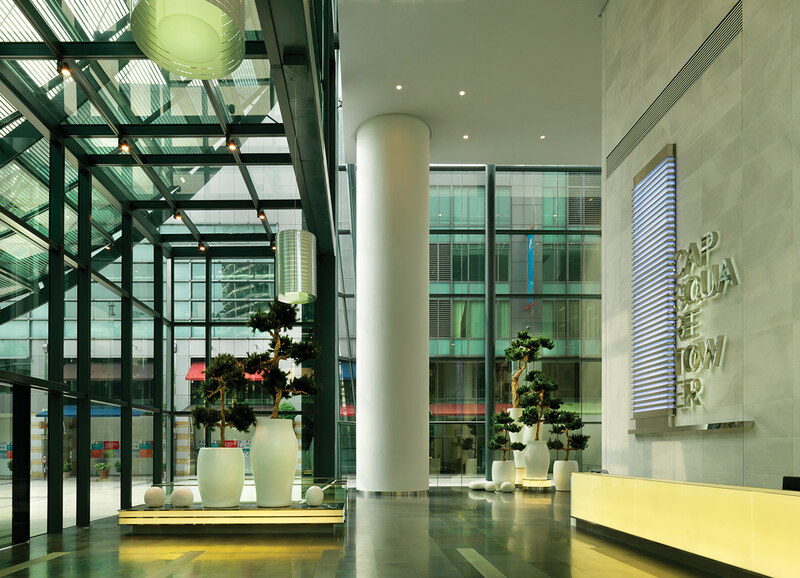 Taking advantage of the 12-meter high ceiling, the design team created various visual heights to increase depth. 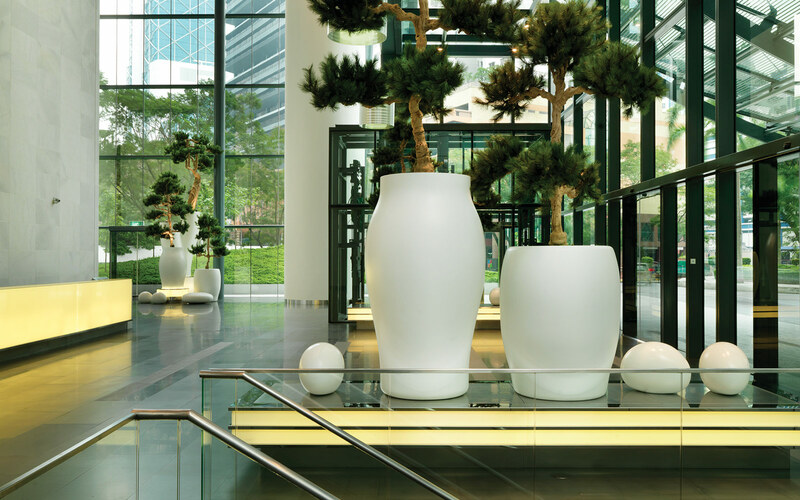 The sculpture-size plants helped to play visual trick of a large space and added life to the space. 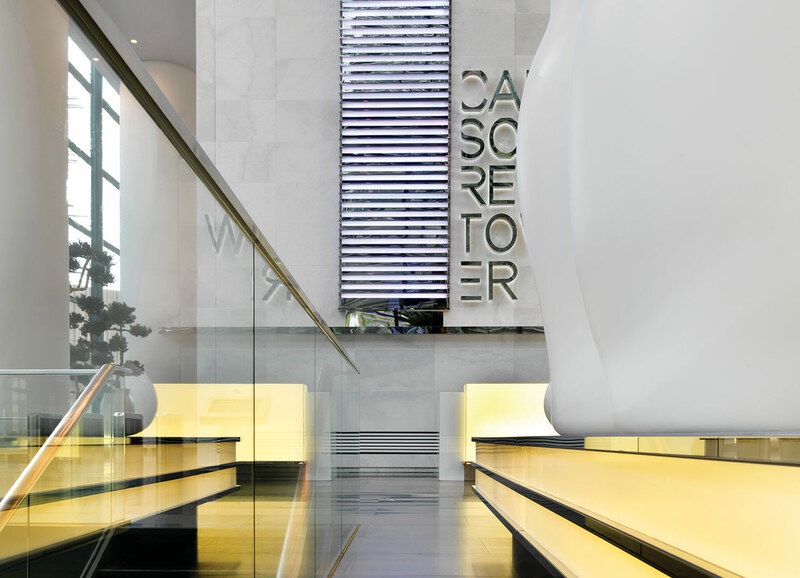 The design team created a few options, including a café and a concierge desk. 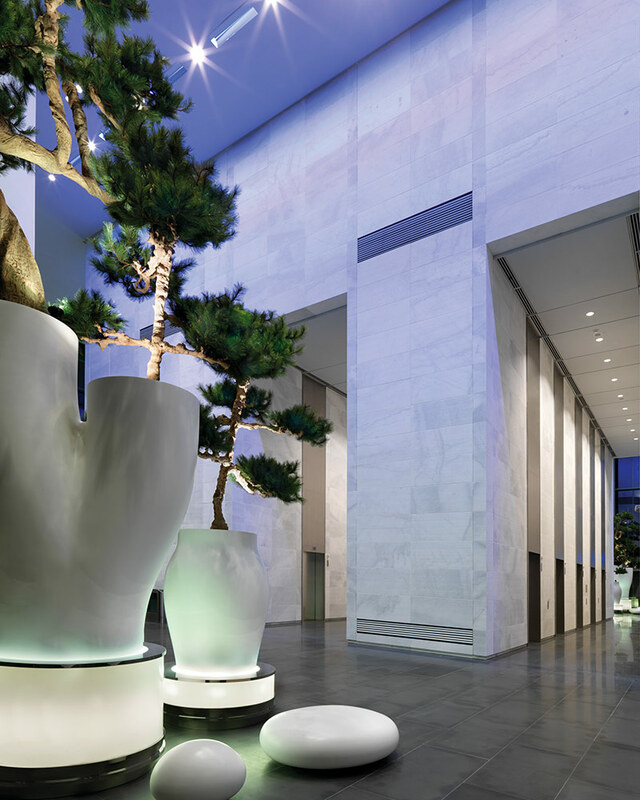 The result of a contemporary facelift helped the landlord to lease to tier-1 clients. 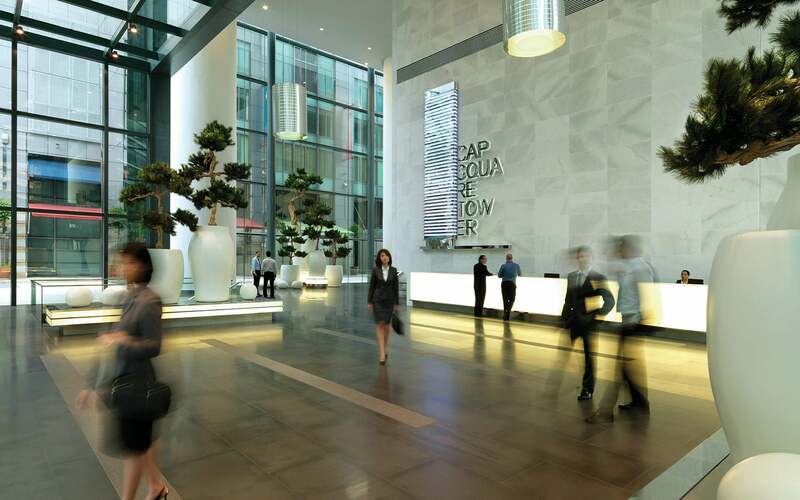 The space is compliant to the local green building index and considered as Multimedia Super Corridor status.